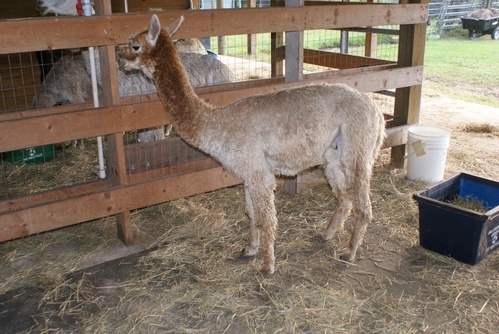 He is off to a good start with his herdsire career by producing a beautiful male cria (Chief Joseph) who hopefully will step into his sire's shoes at an early age. Chief Justice is a 7/8 Accoyo male, and his crias to date have had great conformation, lots of fiber, locks and luster. Included in Chief's pedigree are two of the greatest Accoyo males ever imported into the US - Ganador and Uribe (Durazno), and on his sire's side is another exceptional Accoyo male, Chief Qualchan LCA, from Latah Creek Alpacas, one of the premier suri breeders. Chief Justice has excellent fiber, great conformation, and good bone structure. His coverage and density are exceptional. Josie is an incredible female, one of her many attributes being that she hasn't begun to show her age, either in appearance or productivity. She still is as straight as can be, well-conditioned, and keeps producing award-winning suri crias for us year after year. She is just so trouble-free and low maintenance. 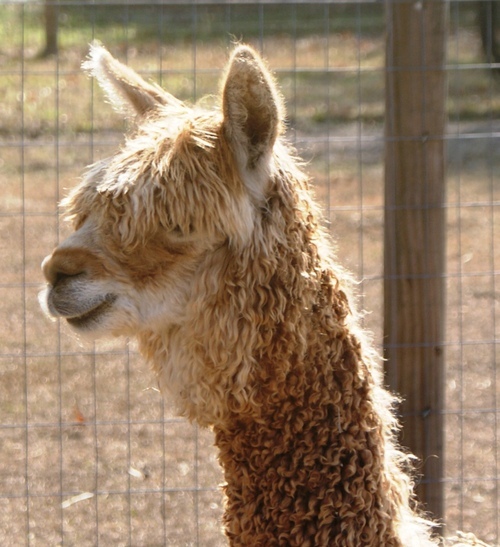 Her award-winning crias include WoodsEdge Hot Flash, Crown Royal of Damasco, RFSS Amelia Marie, RFSS Peach Princess, and RFSS Cuervo Gold. Chief Joseph is one of the first few crias sired by Chief Justice, our 7/8-Accoyo light fawn herdsire. 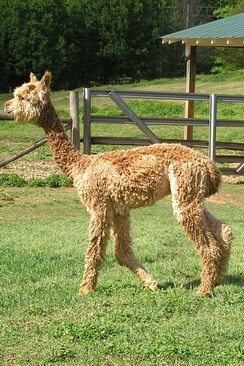 Joseph's dam is Josie, out of the Bruxo bloodline, who has excellent conformation and has a history of producing award-winning crias. She is the dam of Crown Royal of Damasco, RFSS Amelia Marie, and the list goes on. Check out his Fiber stats - spectacular!